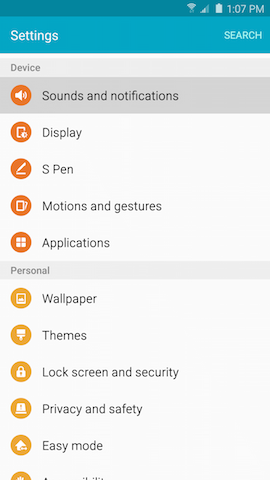 Galaxy Note5: How do I change the application notifications on my Samsung Galaxy Note5? 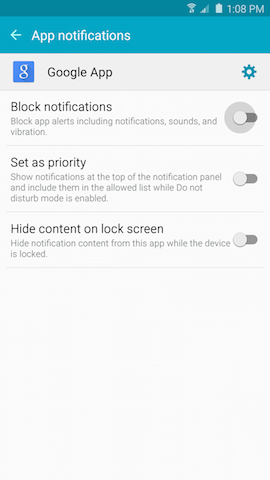 Notifications will display on your screen, even when your device is locked. 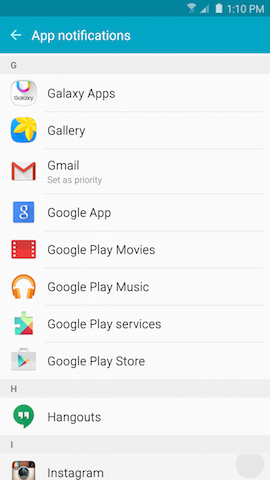 You can control which applications push notifications to your device using the application notifications settings. Blocking notifications for an application means notifications will not display on your lock screen, status bar, or Notification Panel. 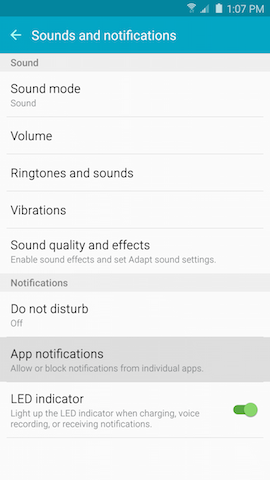 For example, if you block Google App notifications, your device will not display a notification and will not play a sound when you receive notifications from Google App. 5. Touch the name of an application for which you want to block notifications. 6. Touch the slider next to Block notifications to turn it on . 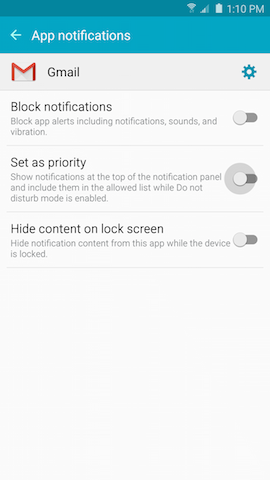 Blocking notifications will turn them off even if the application is set as priority. 7. 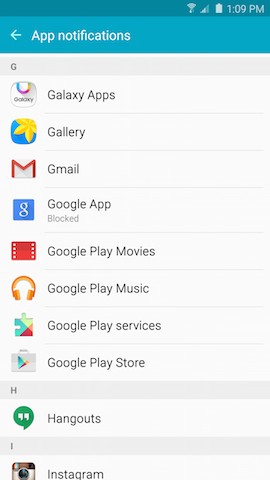 Applications with notifications blocked are identified by the word Blocked under the application name. You can hide content from selected applications' lock screen notifications. 5. 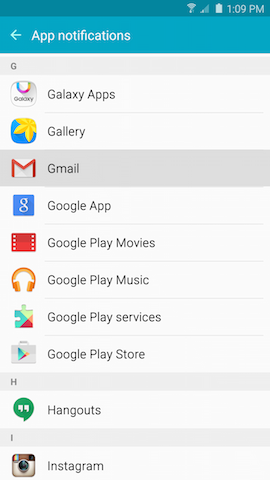 Touch the name of an application for which you want to hide notification content. 6. Touch the slider next to Hide content on lock screen to turn it on . 7. Applications with notification content hidden are identified by the words Hide content on lock screen under the application name. 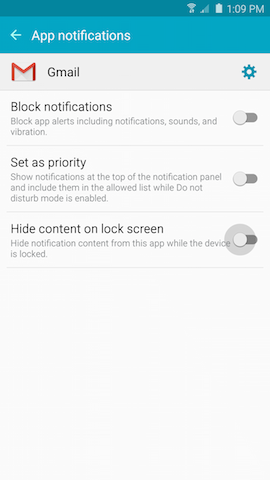 Setting application notifications as priority means notifications will display at the top of the Notification Panel even when your device is in Do not disturb mode. 5. Touch the name of an application you want to set as priority. 6. Touch the slider next to Set as priority to turn it on . 7. Applications with notifications set as priority are identified by the words Set as priority under the application name. Galaxy Note5: How do I clear the application data/cache on my Samsung Galaxy Note5? 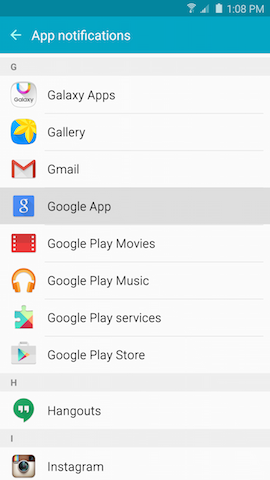 Galaxy Note5: How do I uninstall or turn off applications on my Samsung Galaxy Note5?